We, the designers @ Milo, will try to investigate the upcoming trends in the digital design world in 2019. We base our predictions on a deep analysis of color, typography, shapes and sizes that we’ve observed in the work of the most prestigious Design Agencies in the world and this year’s winner artworks in Design Competitions. According to recent statistics custom made illustrations can convert 7 times better than any stock photography. A unique illustration with bold colors will definitely make a business stand out. A good illustrator can create a vibrant illustration, toned to suit a brand’s needs. In 2018 designers have used mostly vibrant colors and this trend is just going to grow bigger in 2019. Colors will be even more courageous, with designers using supersaturated tones in their work. Pantone has already revealed their color trend forecast for 2019 so, this year, use bold colors if you want your work or business to stand out. When most people hear about asymmetry they think about the lack of balance but asymmetry is so much more. Designers can use it to create harmony and to balance the whole composition by intentionally avoiding traditional balance. You can experience and play with the elements you are using, like typography, geometric shapes or 3d renders to create a unique outcome. Remember that the user’s eye will firstly see the bigger element and so on. Small animations on a web site, in advertising or in app design can make the users interact more with what you are promoting. These type of animations can be integrated in all media. Merging ideas from a broad and diverse range of sources can have an amazing outcome. An eclectic approach to design can be pretty challenging but it can definitely bring a unique looking identity to a project. Gradients have seen a huge comeback in late 2017-2018 and are here to stay even in 2019. With names like Apple or Instagram using them in their branding, this is definitely a winning choice in 2019 as well. We have seen Isometric design in trends for the past years, but in 2019, with the illustrations taking over all design fields, we really need to add it this year as well. The era of staged looking stock images is pretty much gone and now designers are looking for more natural, not typical photos. Basically stock photos that don’t look like stock photos. Adobe has launched this amazing and competitive new software and it’s offering it to the community for free-with limitations. 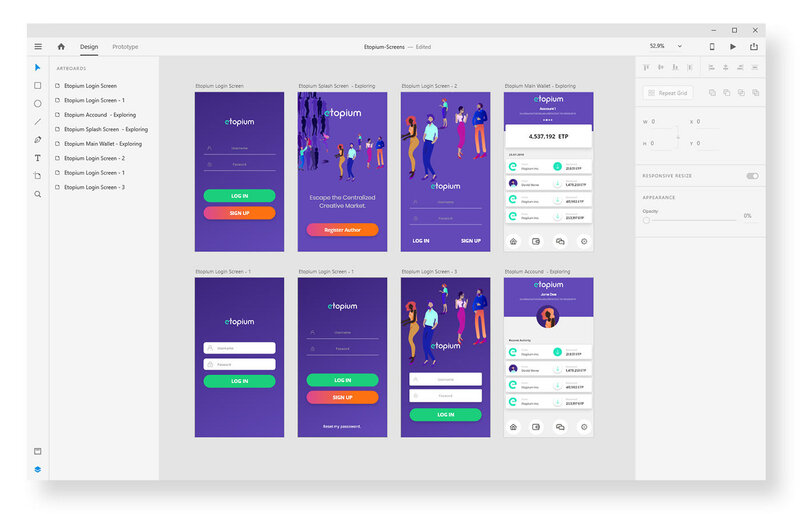 Adobe XD is the UX/UI design solution for experience designers to design, prototype, and share engaging user experiences, as they advertise on their website. This year the XD team expects to ship enhanced animation features and UI element animations as they keep on bringing updates constantly. Here is a link where you can download the app . Enjoy! Fluid shapes are not something new, we have seen them in 2017 and 2018 but they will be even more present in 2019. 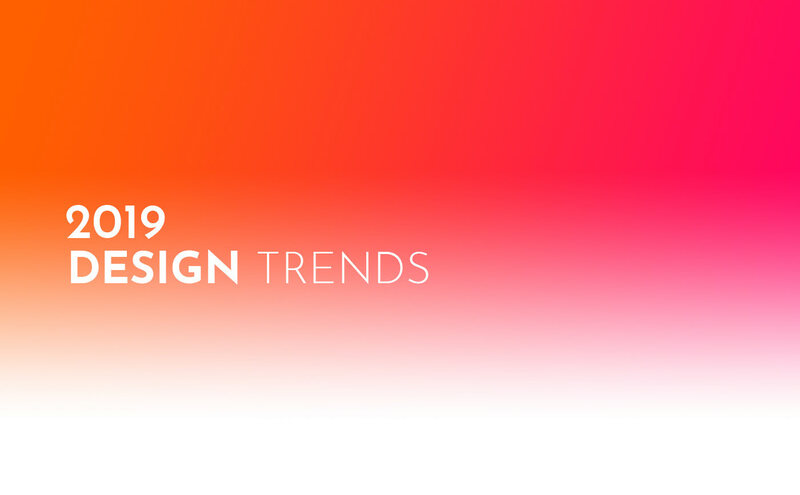 Mixed with bold colors and intense gradients, fluid shapes are an essential web design trend in 2019. Videos on a website can increase the conversion rate, studies show. A video can make a statement in a matter of seconds, it can convey your message quickly and can keep a user more on the website. Micro-interactions are small animations used on mobile platforms to create subtle visual effects. This year we are going further than ever with these micro-interactions. We will find hidden animations behind every UI element, it doesn't matter how small it is. With typography getting more and more into the spotlight, many giants, like Apple, choose to make a statement trough bold typography. In many cases typography is replacing images. Overlapping elements in web design have been here for the last couple of years, combined with broken grids can create a unique creative layout. Always keep in mind the experience for mobile! 3D illustrations have known a big boom in the last years, with big brands using 3d renders for their products like: sneakers, sports gear, in packaging design and many more. Typography is starting to get bigger and bolder, making it a trend that we can find in each year’s predictions. The winning combination, when you are using a big font is: minimalism, otherwise the design can be overcrowded and not really appealing.